FB-MultiPier is a nonlinear finite element analysis program capable of analyzing multiple bridge pier structures interconnected by bridge spans. The full structure can be subject to a full array of AASHTO load types in a static analysis or time varying load functions in a dynamic analysis. Each pier structure is composed of pier columns and a cap. This structure is supported on a pile cap and piles/shafts with nonlinear soil. This analysis program couples nonlinear structural finite element analysis with nonlinear static soil models for axial, lateral and torsional soil behavior to provide a robust system of analysis for coupled bridge pier structures and foundation systems. FB-MultiPier performs the generation of the finite element model internally given the geometric definition of the structure and foundation system as input graphically by the designer. This allows the engineer to work directly with the design parameters and lessens the bookkeeping necessary to create and interpret a model. As is a necessity for design-oriented applications, FB-MultiPier automatically generates finite element models given a parametric, geometric definition of the structure and foundation system. Both input and analysis results are handled through a streamlined combination of form-based, 2D graphics, and 3D graphics windows. The User Interface (UI) has been updated to more closely adhere to Microsoft(R) User Experience (UX) design guidelines. These updates include use of enlarged icons, use of a standardized font program-wide, updated form stylings, and anti-aliased graphics. 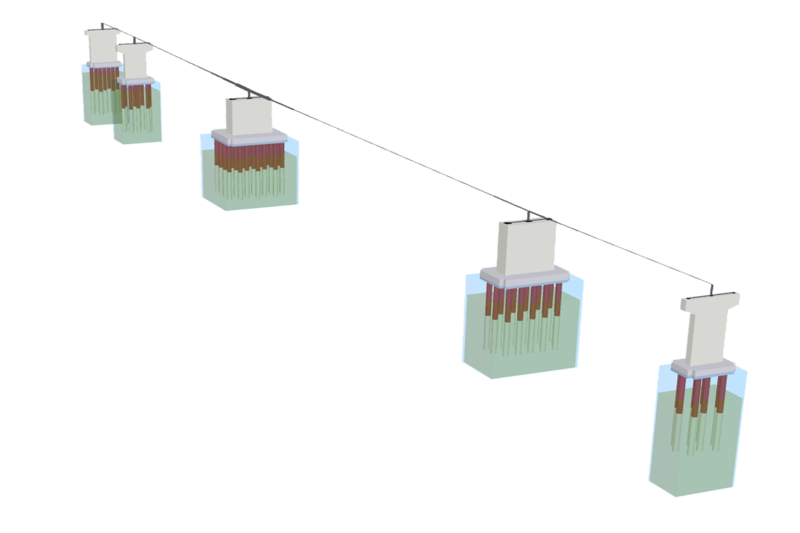 Each pier in a multi-pier model can be unique, including pier type (general pier or pile bent), soil model, elevations, member properties, skew angle, and bearings. 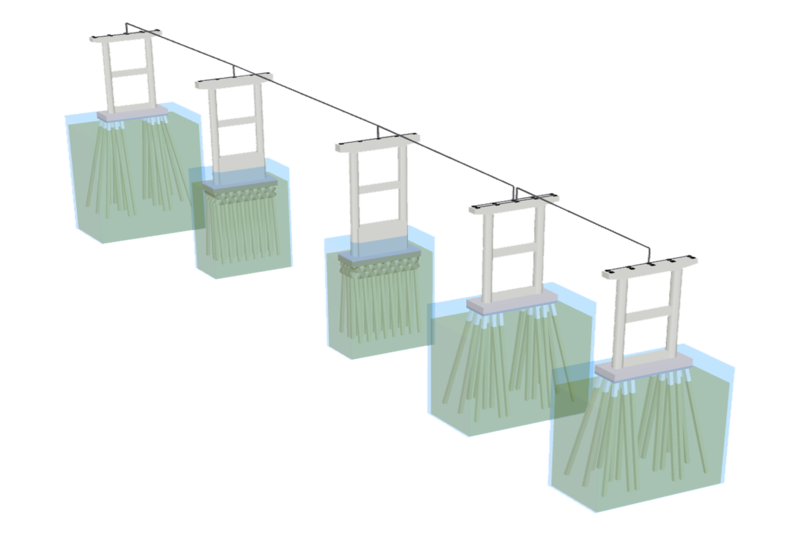 The 2D Bridge window shows the bridge layout in plan and the 3D Bridge window shows the 3D visualization of the bridge. Each pier can be rotated about the vertical (Z) axis. This facilitates modeling skew bridges and radial piers on curved alignments. 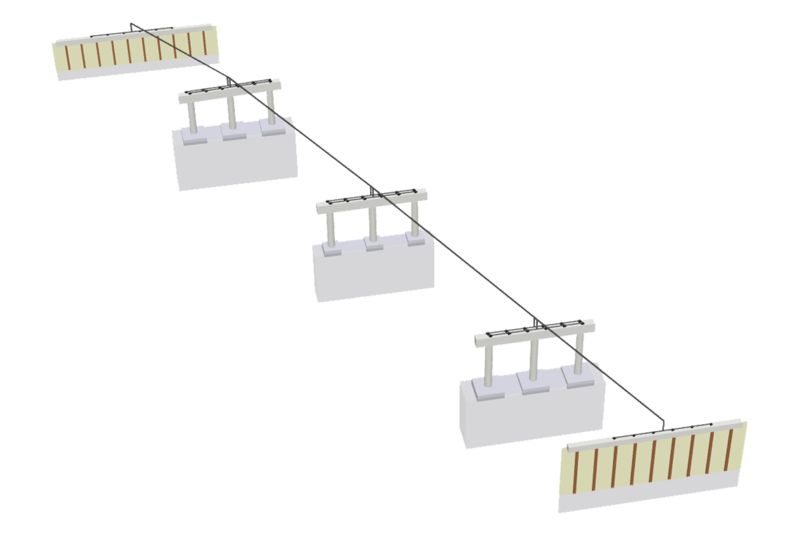 The bridge superstructure is incorporated into the model using an equivalent beam that connects the centerline of two piers. The span can have variable cross section properties. The bearing connections at the pier supports can be released, pinned, roller, integral or user-defined using a custom load-displacement curve. Two independent lines of bearings accommodate the transfer of load from the bridge superstructure to the piers. Unique distributions of bearings can be defined and spaced along each row. In addition, because the bearings are offset from the center of the pier cap, any pier cap torque induced from unequal spans is automatically taken into account. GeneratorGenerate wind loads for the entire bridge model at once. Time history load functions and ground acceleration records can be applied to the model. Different time step integration methods are available as well as a variety of analysis control parameters. 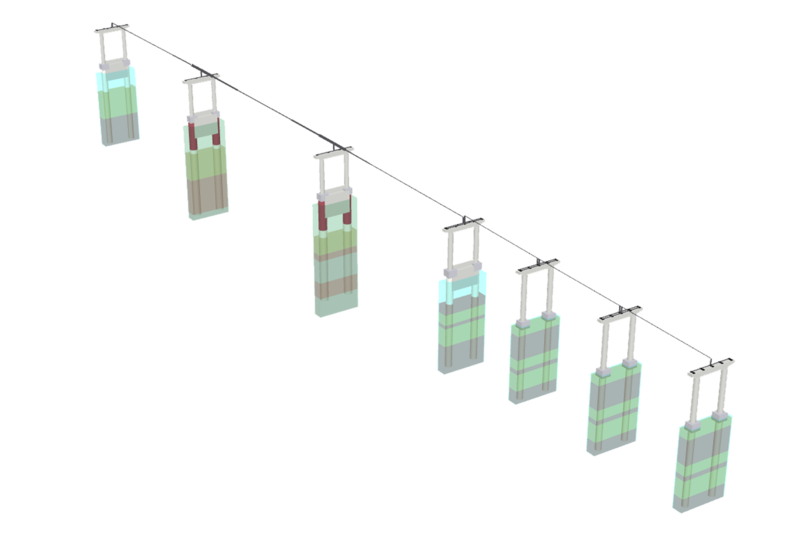 Concentrated masses and dampers can be added to the model to simulate added mass and energy dissipation effects. The modal analysis option performs a frequency analysis of the model. Both frequencies and mode shapes are provided as output results. Soil gap modeling is available to model energy dissipation due to hysteretic damping. Cyclic degradation parameters are also available to modify the lateral soil response during dynamic loading. The 3D model displacement results can be animated for a time step integration analysis. Animation results can be played and paused and a slider bar is provided for selectively viewing individual time step results. The displacement results for any model node can be plotted over time. Ground acceleration records are provided for notable earthquakes.